Available in black, navy, bottle green, lovat blue, lovat green, maroon, red, royal blue, saxe blue and fawn. Our black and navy tams come with a red toorie (pom pom) as standard and red/white dicing, toories matching the hat colour are also available. 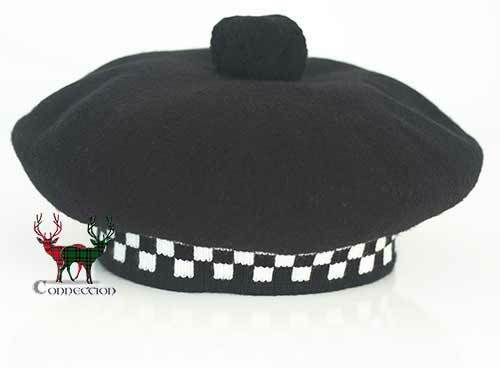 All other coloured hats come with a matching toorie and dicing. • Diced tams are made to order. Where did you get that hat! Absolutely love my Beret.. everyday in Manhattan people stop me and ask where did you get that hat? !